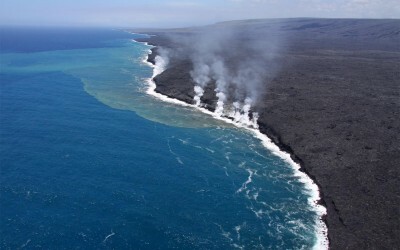 After being hidden for too long for many us, the Big Island’s Pu’u O’o volcano flow emerged above ground recently, slowly making its way near Kalapana and into the ocean. 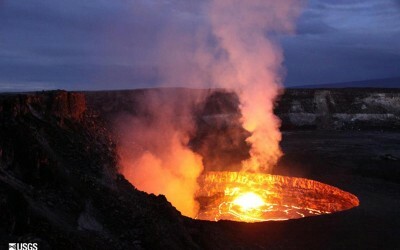 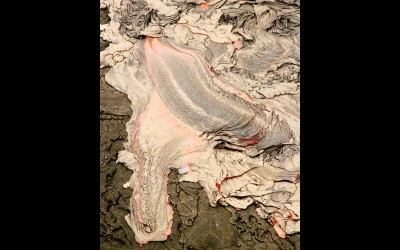 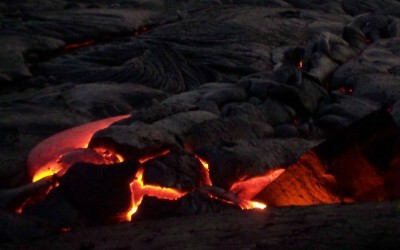 Visitors from all over have been making their way to Hawaii to watch molten rock slide by just feet in front of them. 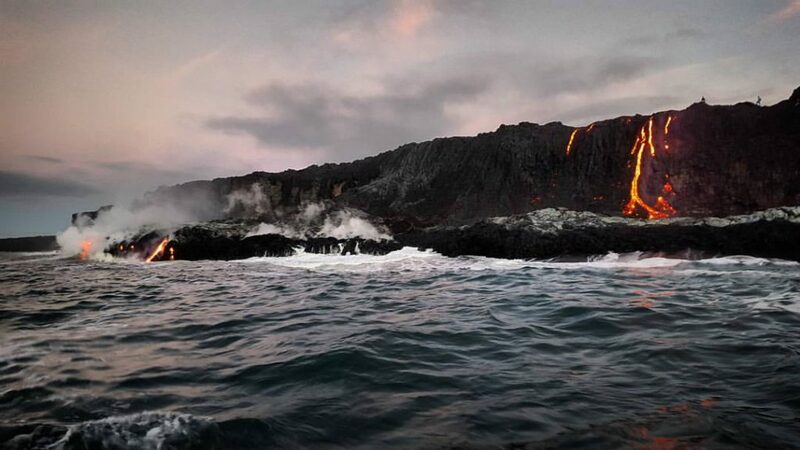 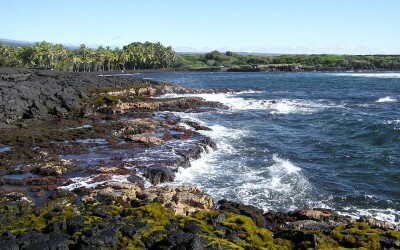 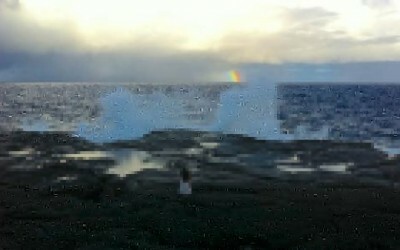 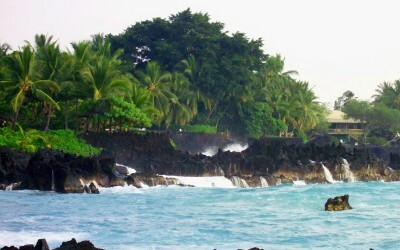 Some site-seers take to the water to catch an ocean-side spectacle of lava meeting sea, hot meeting cold. 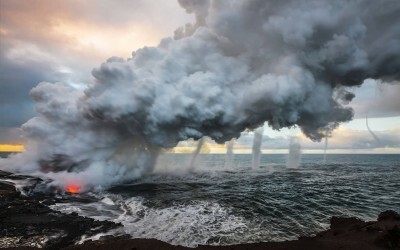 When the lava plunges into the sea, sulfuric steam rises and small bits of glass crackle and pop on the surface. 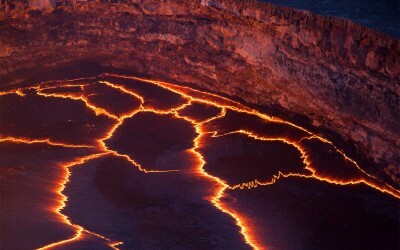 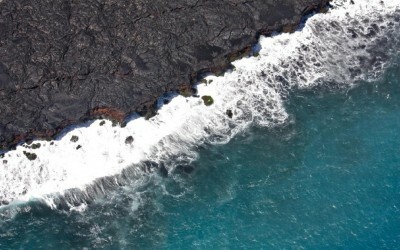 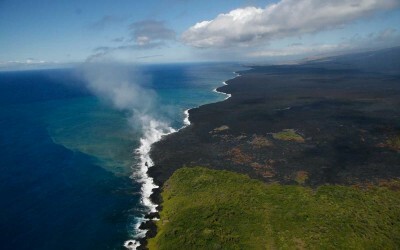 Below the water, a the lava cools and coils into new land, ever so slowly adding to Hawaii’s size.